I was very privileged and excited to get my hands on an early copy of ‘Superhero Street’ by Phil Earle because I was a huge fan of the first book in the ‘Storey Street’ series ‘Demolition Dad.’ Not only was it one of my Top 10 books of 2015 it has received the most fantastic responses from all the children I have recommended it to at school and in the library. 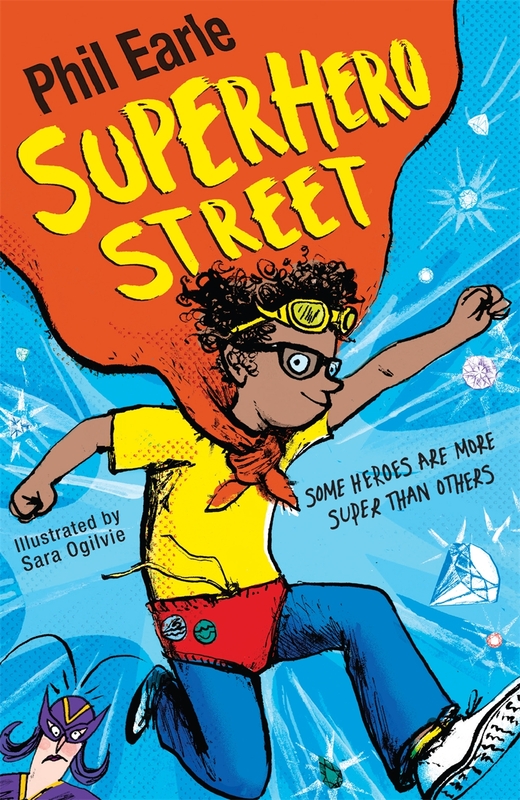 The problem when you love a book so much is you really, really hope the next book is equally as marvellous so let me reassure you that ‘Superhero Street’ is a worthy follow on from the mighty ‘Demolition Dad’. In ‘Superhero Street’ we meet Michael J Mouse whose life has gone steadily downhill since the birth of his twin brothers swiftly followed by triplet brothers. Virtually ignored by his parents, misunderstood and overlooked by his friends and the target of the school bullies it seems that Mouse is doomed for a life of misery. His only source of comfort is his dream to be a superhero and he carries his dream with him hiding a cape under his clothes. Living in sleepy Storey Street provides little opportunities for Superheroes so instead he lives out his fantasies of daring escapades and adventures by drawing them on his bedroom wall. He surrounds himself with reminders such as cunningly choosing superhero alter-ego names for his triplets brothers meet Bruce, Peter and Clark otherwise known as Batman, Spiderman and Superman. But Mouse’s luck takes a dramatic shift for the better when his Mum unwittingly foils a diamond robbery and they find themselves thrust into the limelight finally giving him the opportunity to take centre stage and be a hero. Suddenly Mouse and his Mum are an inspiration to other everyday heroes who have been secretly hiding their ambitions under their imaginary capes. And so a cast of unlikely Superheroes is assembled each with their own unique power ‘Dan Druff’, ‘Cyclots’ and ‘Skidmark’ unite to form the Z -list. Just when Mouse thinks he is living his dream his bravery is tested to the limit when he comes face to face with a truly dastardly super-villain. Will Mouse be able to summon his bravery and prove himself when pushed to the limit? ‘Superhero Street’ is an absolute joy to read Phil manages to create a story which is brilliantly humorous but full of heart and emotion. He has assembled this genuinely likeable cast of characters. inevitably you will get caught up in the highs and lows of Mouse’s story as it unfolds and will struggle to put the book down. Whilst some of the humour is obvious who could resist a farting lullaby, crisps delicately flavoured with dandruff. It is the subtle witty observations captured by narrator’s voice which win me over every time. They give this book a real warmth and depth that I found truly delightful. I really can’t recommend it enough. I felt like it offers the reader the hope that even by doing the smallest, seemly insignificant acts we can all be a Superhero in someone eyes. 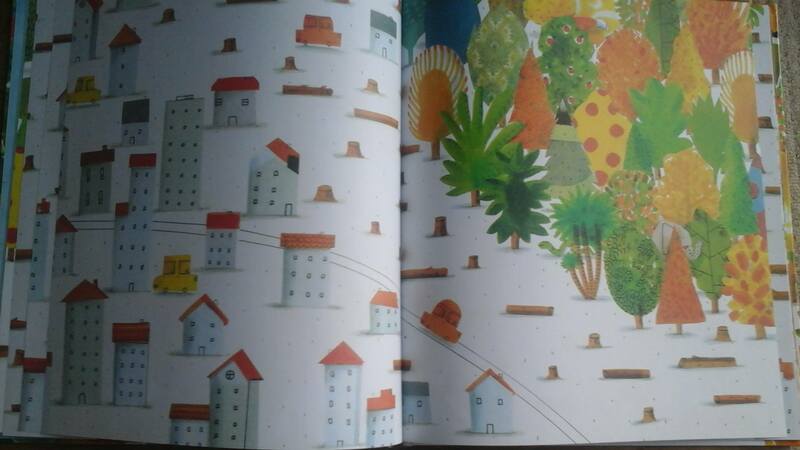 A huge shout out also has to go to Sara Ogilvie who superbly illustrates this book. Her illustrations portray wonderfully the gauntlet of emotions that Mouse goes through from sadness to elation and finally the fear he feels when he faces a true villian. The attention to detail highlights the chaos of Mouse’s existence versus the solace that he creates in his bedroom surrounded by his imaginary adventures which he has painstakingly drawn. I particularly love the Top Trump style depictions of each of the Superheroes which Phil has been gradually revealing in the run up to the release of this book. A big thank you to the lovely and talented Mr Phil Earle Booktrust Writer in Residence for sending me a copy of this book. This entry was posted in Uncategorized on January 26, 2016 by bookloverjo. From the moment I first glimpsed on Twitter the news that the fantastic series Trebizon by Anne Digby was back I was filled with total joy. Having grown up on a diet of boarding school stories stuffed with midnight feasts, friends falling out and mysteries to be uncovered, I was delighted to know that one of my favourite series was returning. There is always the slight worry when you re read books from your childhood that they won’t stand up to the test of the time but be reassured these have fully lived up to my memories and expectations. In fact I would even go as far as to say that I actually enjoyed reading them more now! The new covers and illustrations by Lucy Truman give the books a fresh and modern appeal which proclaim from the outset ‘read me’ and read them you must! In ‘First Term at Trebizon’ we see Rebecca joining the famous Trebizon school in the Second Year. She is desperately sad at leaving her parents behind and wondering how she will ever fit in when friendships will have already been strongly forged in the first year. But rescue soon comes to hand in the form of best friends Tish and Sue who take Rebecca under their wing. Eager to make a great impression in her new school she writes an article for the school magazine which unwittingly provokes a huge row and causes major divisions within the school. From the moment Rebecca boards the train I felt Anne captures beautifully the excitement and nerves of starting a new school and I found myself totally caught up in these emotions. In ‘Second Term at Trebizon’ Rebecca finds herself caught in the middle between her two friends Tish and Sue. Tish is behaving very oddly and nobody can comprehend why she is so adamant that Sue should pursue a music scholarship and not be captain of the school hockey team. Even when it appears Tish’s motives are selfish and purely to benefit herself, Rebecca still implicitly trusts her and feels that there must be altruistic reasons behind Tish’s strange behaviour. But will she manage to uncover the truth in time or will their friendship be spoiled forever. The theme of this story is timeless. All children will identify with the misunderstandings and turmoil that happens within friendships and how isolating and hurtful these feelings can be. ‘Summer Term at Trebizon’ finds Rebecca facing the prospect of being separated from her friends the following year unless her maths marks improve dramatically. But she faces obstacles on the way when the new maths teacher appears to be distracted and unsympathetic to her plight. The only joy on the horizon is the charity surfing competition she is taking part in but when the money goes missing can our friends get to the bottom of this mystery. What I really enjoyed about this story was the strong feeling of support and friendship that comes through and how when people are given encouragement and praise it can redeem them. 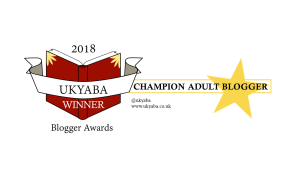 What Anne Digby manages to do with this series is create this world that you just want to belong to and will leave you desperate to come back for more. The details are glorious and transport you to a different place and time. From the opening of the book when I longed to be on that train and wearing that splendid cape, or sitting sipping cocoa in the common room you will find yourself lost in these sublime stories. The rich descriptions she uses to describe the beautiful buildings, the glistening sea and golden sands create a vivid picture of this idyllic school which provides the most delightful escapism for the reader. It manages not to feel dated and there are only a few references to items like cassette players which would suggest it is not from this era but for me these details were fabulously nostalgic. Both of my girls are already enjoying this series and like me they are dreaming of spending days at a boarding school. The fantastic news is that Egmont is releasing the first three books in the series on January 28th and then all 14 titles will be available by Autumn 2017 so there is the guaranteed anticipation of future books to come when your child falls in love with this series. A big thank you for Egmont for sending me these books to review it has been an absolute treat to share them and introduce my girls to Rebecca, TIsh and Sue. 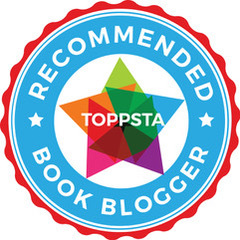 This entry was posted in Uncategorized on January 24, 2016 by bookloverjo. 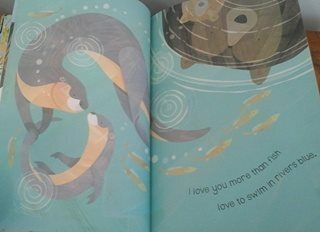 ‘I love You More and More’ magnificently told by Nicky Benson and sumptuously illustrated by Jonny Lambert is a mesmerising tale of the love between a parent and child. I was immediately charmed by the exquisite cover with its delicately muted shades speckled with silver foil. It is a book which demands to be picked up and delved into, you know instantly that you are bound to find treasure within these pages. 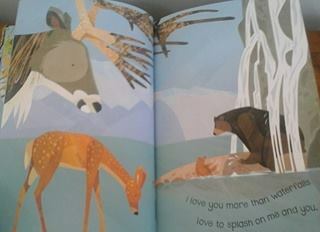 We are swept along on this wondrous journey as Bear tries to express the extent of his love for cub. 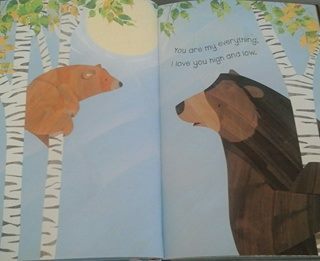 He loves him ‘high and low’ and ‘more than trees love to change with every season.’ Each of the pages expresses the truth, that there is no greater love than the relationship between a parent and a child. Even Mother Nature in it’s most magnificent creations and wonders cannot rival the affection that Bear feels for his cub. This gorgeous story is bound to strike a chord with every parent and it is an absolutely enchanting book to share with your child. The narrative has a real rhythmic flow which is very calming and soothing to read and to listen to, it is perfect for bedtime reading. Thank you to Little Tiger Press for sending me a copy I have thoroughly enjoyed reading and reviewing this spectacular book. This entry was posted in Uncategorized on January 19, 2016 by bookloverjo. 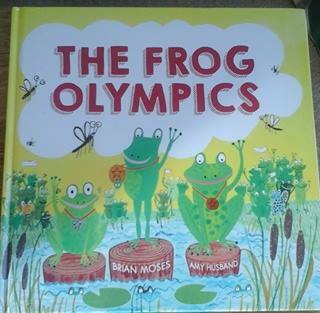 ‘The Frog Olympics’ written by Brian Moses and illustrated by Amy Husband is a delightfully, funny rhyming bundle of loveliness. Just like the frogs the words bounce all over the pages in a perfectly poetic motion allowing both the reader and the listener to be a carried along through this tale. When reading aloud at Storytime it provided endless opportunities for interaction. 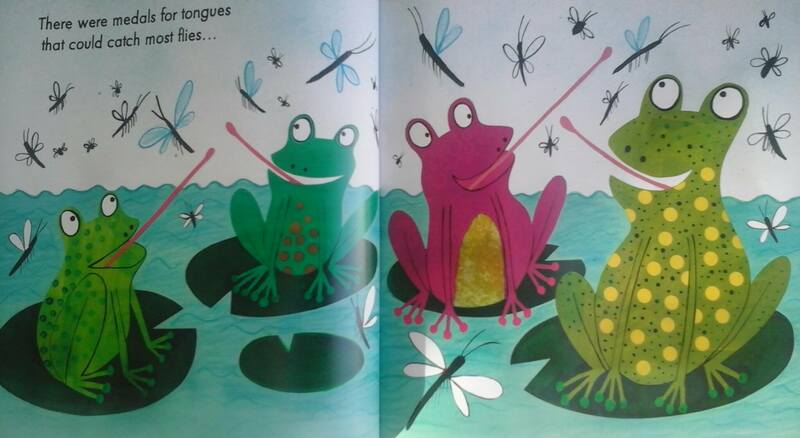 We pretended to be like frogs practising our big bulging eyes and fly catching with our tongues which caused much hilarity, whilst gleefully ‘ribbiting’ as we turned each page. 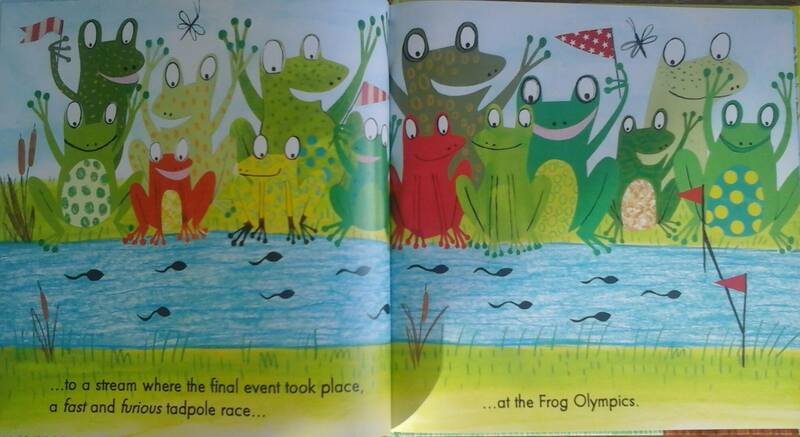 In the year of the Olympic Games it provides the perfect introduction of the celebration of the unity and togetherness which the event creates with ‘frogs of ever colour and size’ watching the events. 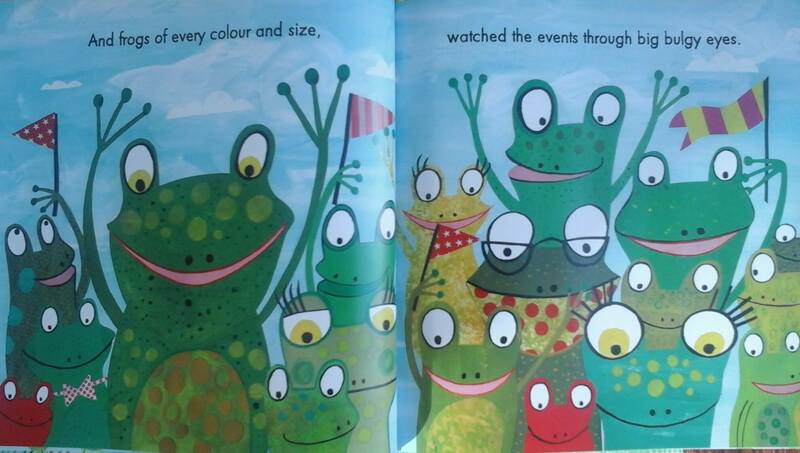 Amy Husband’s illustrations beautifully capture the joy of participation with all of the frogs seemingly filled with glee and excitement at having the opportunity to be involved. She uses a rich palette of colours and textures to create this wonderfully, vivid world. Together they have managed to create a dazzling, fun read which will have children eager to turn each page. A big thank you to Brian Moses and Wayland Books for sending me a copy of this book to review it is a brilliant addition to my Storytime collection. 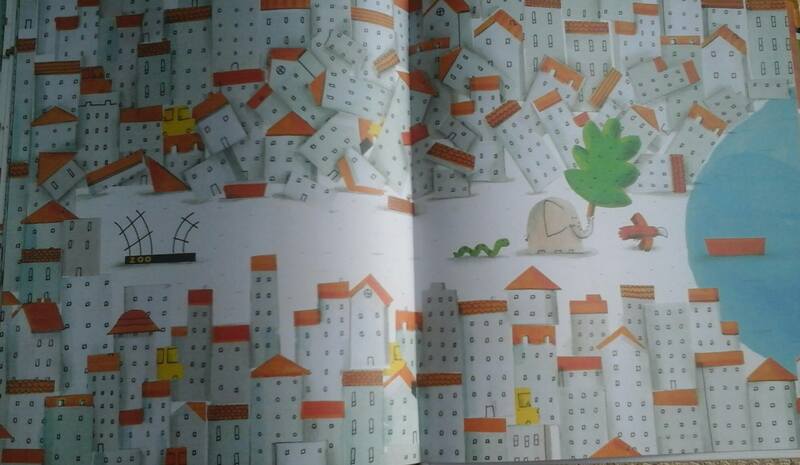 ‘Where’s the Elephant’ by Barroux is an absolute joy to behold. 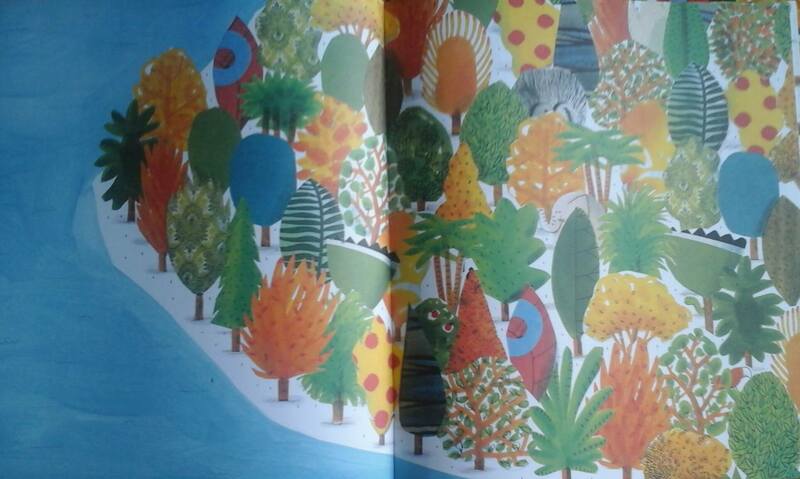 On first glance it appears to simply be a vibrant, stunningly illustrated hide-and-seek picture book that encourages children to search for the elephant, the parrot and the snake. The opening pages entice you into a lush tropical paradise filled with wonder and exotic animals that you want to explore and creates a sense of anticipation and excitement for the child. 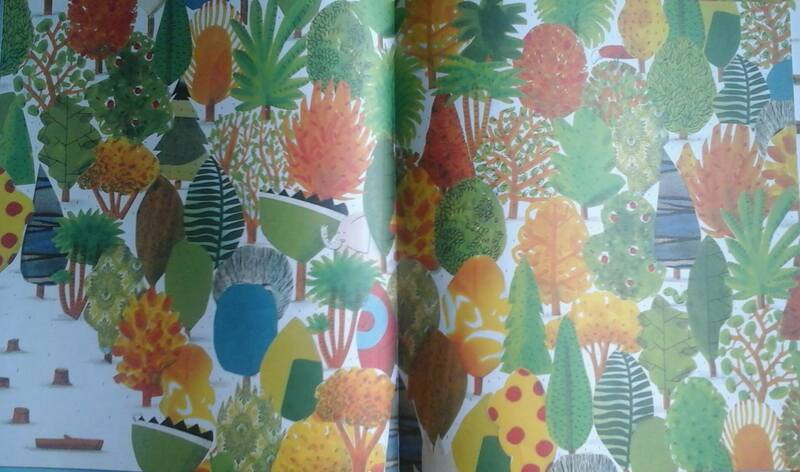 Barroux uses an amazingly vivid palette and a range of textures to brings the pages to life and gives the reader a real sense of the astonishing beauty of the rainforest. Yet we start to feel that there is something more complex unravelling within the story as we turn each page and suddenly find it’s much to easier to spot the elephant, the parrot and the snake as trees are felled and we find the animals increasingly exposed to the elements and their homes are gradually being diminshed. 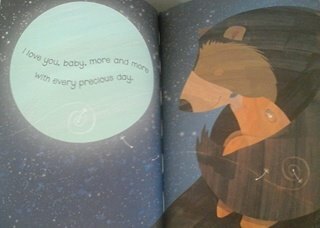 What makes this story so unique and powerful is that this is all told through illustrations and is virtually a wordless book which offers endless opportunities to explore the themes raised. Even the smallest child will be able to grasp the basic premise that if we destroy our environment there is a much wider impact on wildlife and our planet as a whole. For older children it offers the chance to explore the more complex problem of the consequences of over development of the world in which we live. 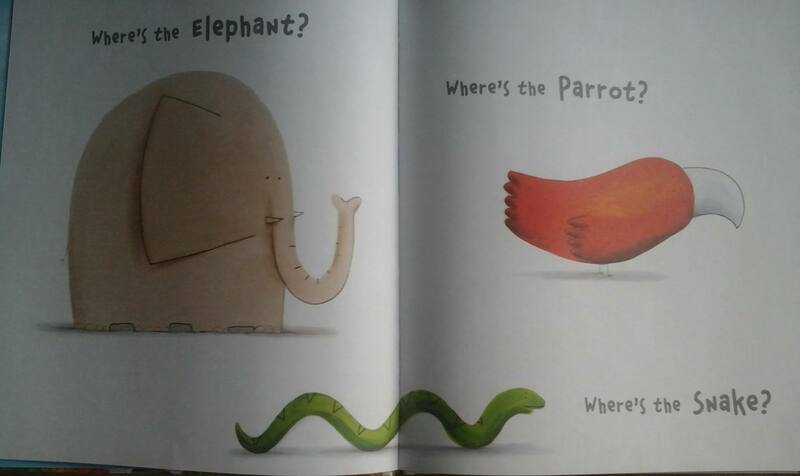 As the book draws to a close we see elephant, parrot and snake heading towards a new paradise which offers a hopeful ending for smaller children whilst older children will be aware that the opportunities to simply move on or inevitably finite. This book is extraordinary and Barroux has managed to convey a very powerful message about the fragility of our environment and has created so many layers that it opens up a wide range of areas for discussion. Not only that but visually you will become totally engaged through the story as you see the contrast between the starkness of this new emerging developed world versus the outstanding natural beauty of the rainforest which has been devastated beyond recognition. It really is a unique and powerful story which will appeal to children of all ages. A huge thank you to Egmont for sending me this book to review it has been a delight to read and share. We are huge fan of Pamela Butchart in my family and when ‘Pugly Bakes a Cake’ arrived in the post both my girls were desperate to be the first to read this fantastic story. Having devoured their way through through ‘Baby Aliens Got My Teacher, ‘The Spy Who Loved School Dinners’, ‘My Headteacher is a Vampire Rat’ and the brilliant ‘Wigglesbottom Primary’ series they knew they were in for a treat. Without fail every child and parent I have recommended Pamela Butchart’s books too has come back demanding more. 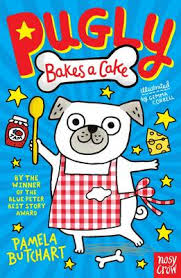 In ‘Pugly Bakes a Cake’ we meet Pugly a pug who likes to think big! Even his imaginary name Tobias Roberto Mozzarella Pugly is ambitious. Whilst his owner Maddy is at school Pugly puts into action his ‘best idea ever’ in a bid to become the most famous dog on the planet. Unknown to Pugly the dastardly Clementine the cat is scheming to scupper his plans of baking the ‘yummiest cake ever’ and sets out foil his efforts. Can Clive the goldfish warn Pugly before it’s too late? Will Clementine cause a cake catastrophe? And why does Pugly’s arch nemesis The Evil Squirrel appear whenever he has an amazing idea? All of answers to these questions and more will be revealed! This book really did make me laugh out loud it’s brilliant funny, totally entertaining and will be hugely appealing for younger readers. There are moments of sheer joy which will make you eager to keep reading my favourite being Pugly getting caught in the cat flap. I think Pamela writes in a way which instinctively appeals to children’s sense of humour which they find unable to resist reading. Both of my girls absolutely adored the story and they read it in one sitting as they were so engrossed. I really loved the devious Clementine who takes great delight in causing complete carnage for poor Pugly it just confirms what I have always suspected that’s cats are secretly trying to take control and run the world. It is cleverly illustrated by Gemma Correll who manages to capture perfectly the chaotic antics unfolding throughout the story in her quirky cartoons. Like the Wigglesbottom Primary series it is ideal for newly confident readers and will also provide inspiration for reluctant readers. 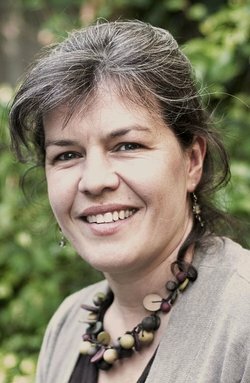 There is more to come from Pamela this year with two new titles due to be released in Spring. 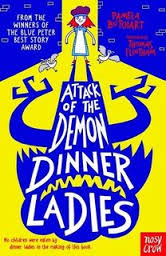 ‘Attack of the Demon Dinner Ladies’ illustrated by Thomas Flintham is released on the 4th February 2016. In this story we find Izzy and her friends witnessing more strange behaviour at their school and they speculate why the ‘demon’ dinner lady has returned to school. 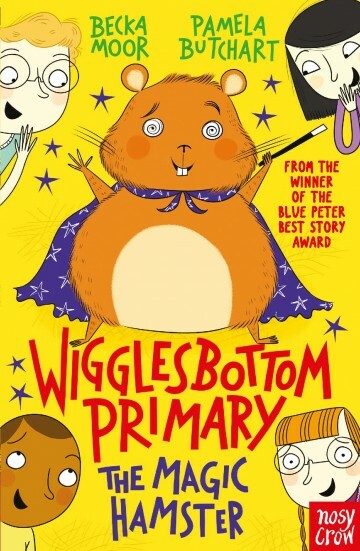 The third in the Wigglesbottom Primary school series ‘The Magic Hamster’ illustrated by Becka Moor is released on 3rd March 2016. Three more stories of primary school mayhem as 2F set out to solve the real mysteries of life. What is the school mashed potato REALLY made of? When Lauren swallows a fly, will she ACTUALLY turn into one? And who, or what, is ROBOT BOY? 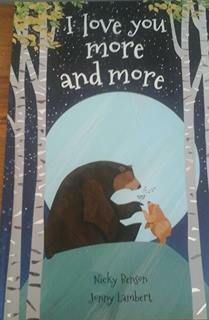 Thank you to Nosy Crow for sending me a copy of this book to review it was a total delight to read! This entry was posted in Uncategorized on January 13, 2016 by bookloverjo. 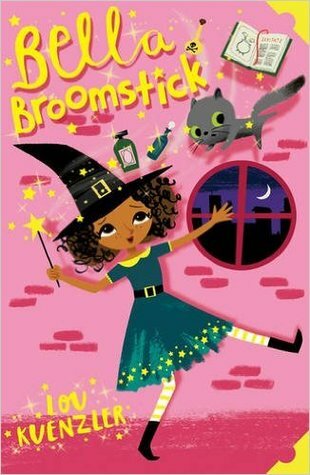 ‘Bella Broomstick’ is the first in a new exciting series from Lou Kuenzler. 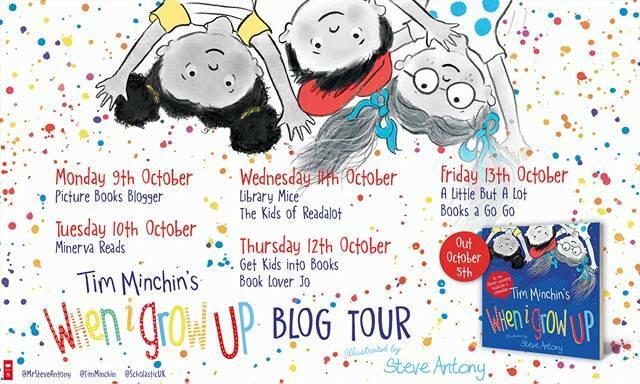 My girls are big fans of both the ‘Shrinking Violet’ and ‘Princess Disgrace’ books so when I was given the opportunity to participate in this blog tour I leapt at the chance so we could catch a sneak peek of what we could expect from her latest character Belladonna Broomstick. 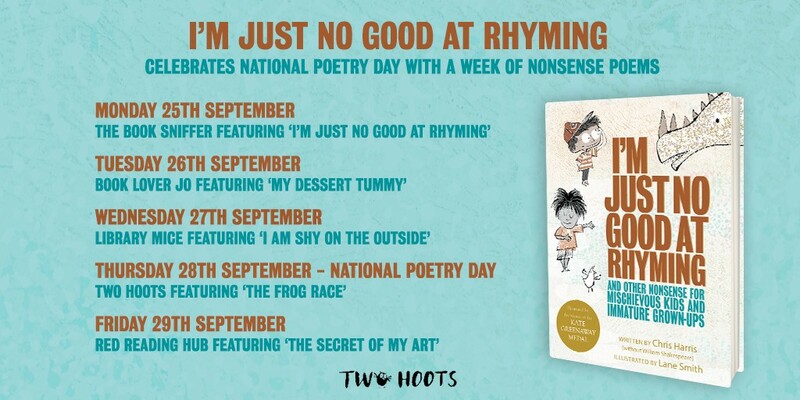 But don’t worry you won’t have long to wait it is published by Scholastic on the 7th January 2016. Bella is a hopeless witch in a world of warty, hairy, smelly witches her happy, kind nature means she is quite obviously the odd one out. Living a miserable existence with her horrid Aunt Hemlock her sole comfort is a department store catalogue she found blowing around the moors one day which she hides under her bed. Her Aunt barely tolerates her and when she fails the entrance exams for the Creepy Castle School for Witches and Wizards her patience eventually wears out and she banishes Bella to live in the Person World. Unable to believe that she is escaping her Aunts’s wicked clutches her only disappointment is when she is banned from doing magic and her wand is destroyed. But when Bella finds a kitten in trouble she decides to try a little magic……. after all what harm could it possibly do? Before I start this review I have a confession to make I have a slight obsession with witches in stories this was one of the reasons I was desperate to get my hands on a copy of this book. Perhaps it’s related to a previous life experience or a diet of Worst Witch books when I was growing up but I like nothing better than magical mayhem. For me this book is a delight to read, it ticks all the boxes we encounter mean old witches, magical mishaps and curious creatures. It manages to be both funny and poignant as we see Bella struggling to believe that anybody would love her just for being herself. I loved the hilarious moments when she discovers the joys of flushing toilets, escalators and bubble baths Bella herself sums it up perfectly ‘who says Person’s can’t do magic.’ At the heart of this story is a little girl – who just happens to be a witch – trying to find a way to fit into life and learning to form relationships for the first time. She is always trying her very best and has the very best intentions in mind even if they could possibly ruin her only chance of happiness. This book got a big thumbs up seal of approval from my youngest daughter who is 7. it’s ideally pitched for newly confident readers and she read it in one sitting in fact she is trying to get it off my desk as I’m writing this blog so she can read it again. We both enjoyed the illustrations by Kyan Cheng which manage to capture both the Magical Realm and the Person World through Bella’s eyes. These quirky, whimsical drawings help keep the reader engaged and entertained. 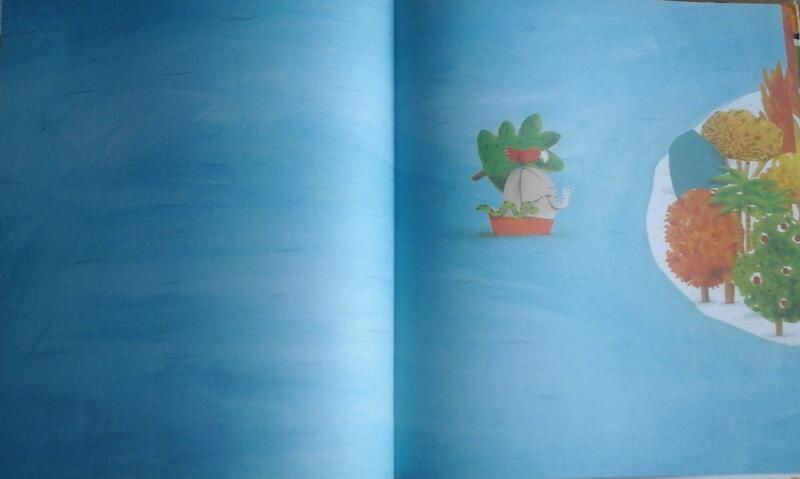 We’re looking forward to more magical mayhem in the further adventures from Bella Broomstick. To find out more about Lou Kuenzler you can visit her website, find her on Goodreads or follow her on twitter. If you haven’t already why not try the Shrinking Violet and Princess Disgrace series they come highly recommended by both of my girls. Her popular SHRINKING VIOLET books are funny, action-packed adventures about a little girl who suddenly shrinks …. Think Mrs Pepperpot with a 21st century twist! PRINCESS DISGRACE introduces the clumsiest princess ever in a comic romp through life at a posh princess academy – unicorns, dragons and japes galore! 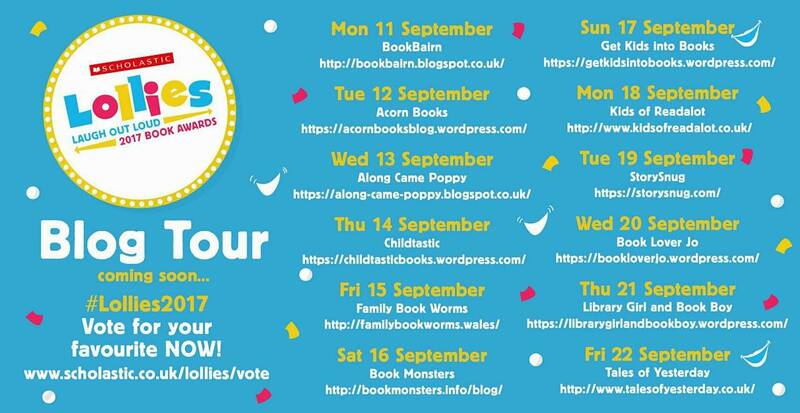 Why not pop along and visit the other stops on the blog tour! Thank you to Scholastic for sending me a copy of this book to review we’ve really enjoyed reading it in our family. This entry was posted in Uncategorized on January 5, 2016 by bookloverjo.